Chinese eggplant, which is typically longer and more slender than other varieties, has a mild and sweet taste that lends itself well to the strong flavors of Asian cuisines.The deep purple skin is rich in antioxidants, and since it is so thin, it can be left on during the cooking process if desired, speeding preparation time and making this vegetable a delicious choice for a quick weeknight stir-fry. 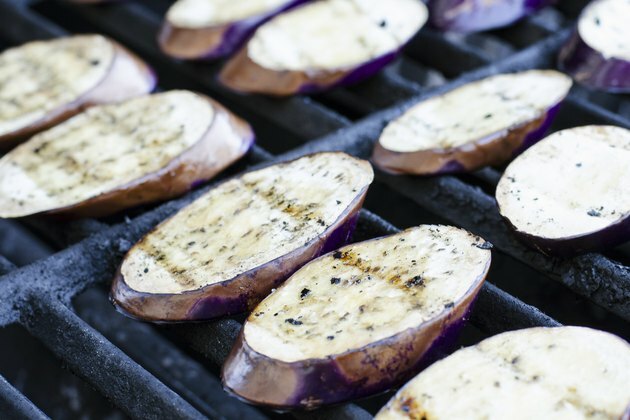 The added step of grilling the sliced eggplant first takes only a few minutes, and adds depth and a smoky finish to the flavor of the dish. 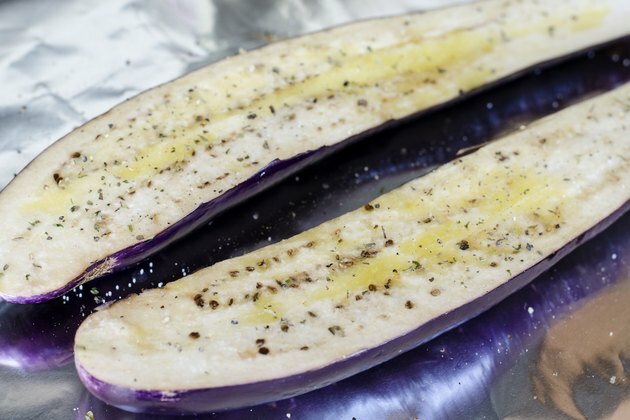 Alternately, oven roasting is another method for coaxing out the eggplant's sweetness while maintaining nutrients for a fast-fix and sophisticated side dish. Choose eggplant that is firm and free from blemishes or soft spots. 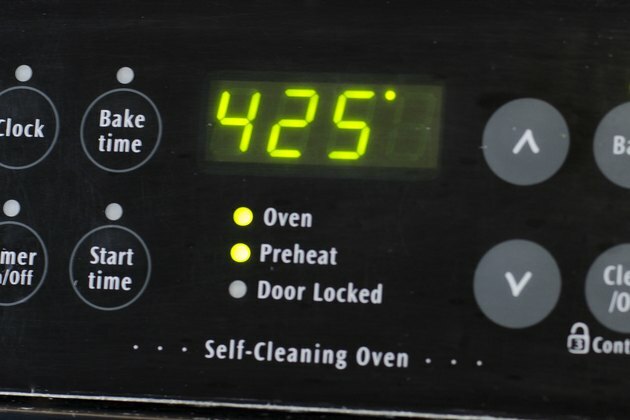 Wash it well in cool water, and dry completely. 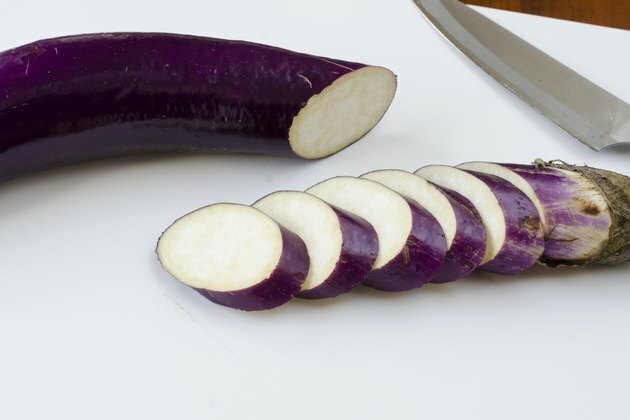 Slice off the stem end, and cut the eggplant into ¼-inch-thick slices, on a slight diagonal. Brush the slices with sesame oil, and grill for 2 minutes per side, or until grill marks appear. 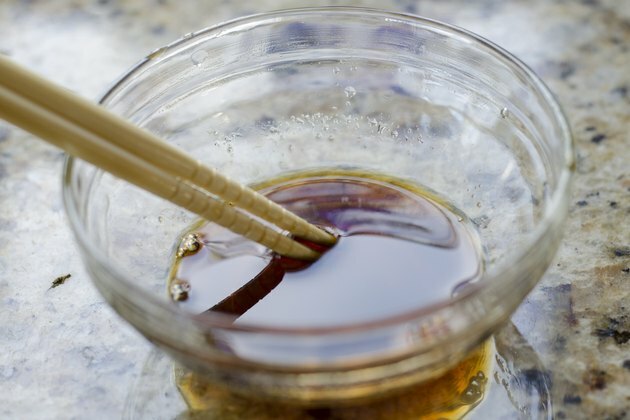 Whisk together ingredients for a stir-fry sauce, like soy sauce, rice wine, rice wine vinegar, sugar and cornstarch, in a small bowl. Heat sesame oil in a wok or large sauté pan over high heat. Add popular Chinese aromatics, like garlic, chilies, white parts of the onion and ginger, and sauté for about 30 seconds or until fragrant. Add the grilled eggplant, and stir fry for 1 minute. Add the sauce, and bring to a boil, allowing the sauce to thicken slightly. Transfer the dish to a serving platter, and top with green parts of the onions. Serve hot. 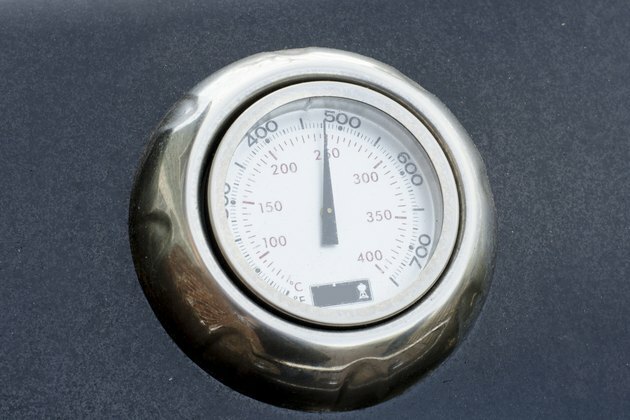 Alternately, leave the eggplant on the grill for a total of 6 minutes. Cook the prepared sauce in a small saucepan on the stove until it thickens slightly, and serve the grilled eggplant with the sauce on the side. 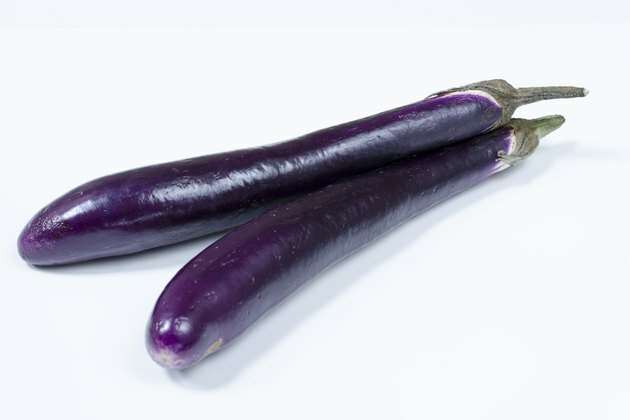 Remove the stems from the eggplants, and cut each one in half lengthwise. Place the eggplants, cut side up, on a baking sheet covered in foil. Brush liberally with olive oil, and season with salt, pepper and a seasoning mix such as herbs de Provence or Italian seasoning. Roast the eggplants for 7 to 10 minutes, checking frequently to make sure they are not becoming too brown. The eggplants are done when they are completely tender (stick a knife into one to check) and golden brown. Transfer to a serving platter and serve with a bit of feta cheese crumbled on top, if desired. For less heat, seed chilies before adding. 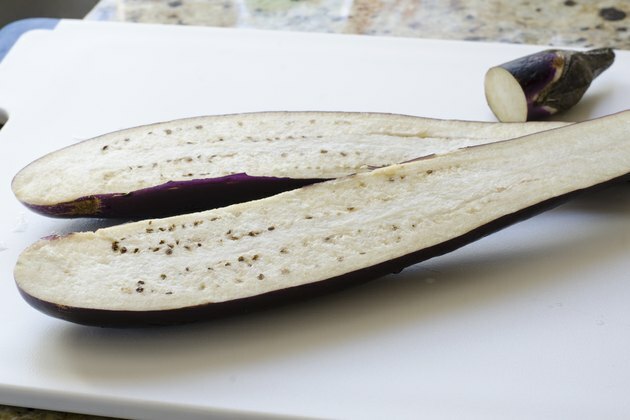 The eggplant can be sliced and grilled up to 24 hours before preparing the rest of the dish. 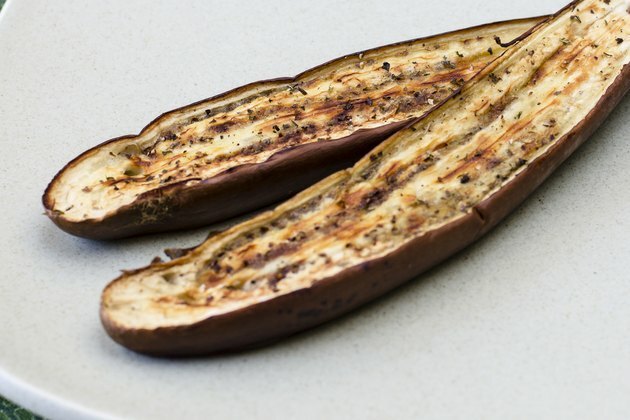 Store the grilled eggplant tightly covered in the refrigerator. Although grilling the eggplant imparts more flavor, you can omit this step and simply stir fry the eggplant with the sauce for a total of 6 to 8 minutes. 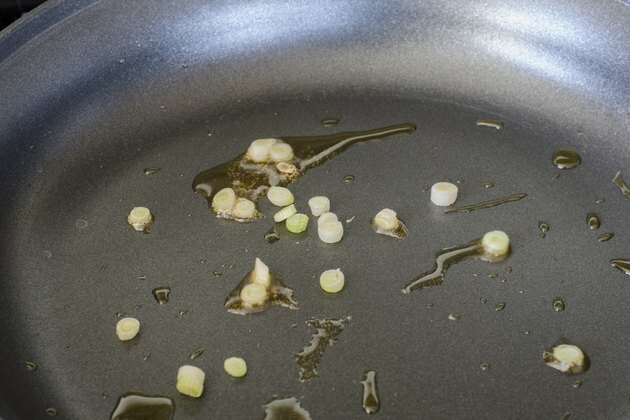 Use caution when stir frying with high heat to avoid burns from splattering oil.